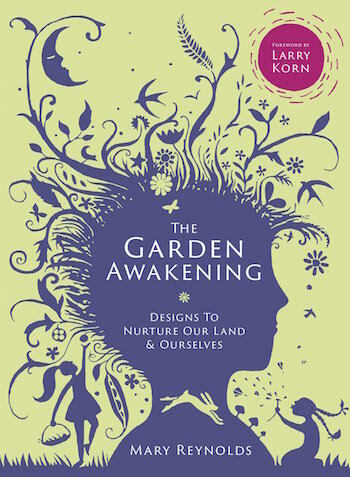 On this Halloween edition of We Dig Plants, hosts Alice and Carmen are joined by Mary Reynolds, a landscape designer and author of the book The Garden Awakening: Designs To Nurture Our Land and Ourselves. The book is a step by step instruction manual drawing on ancient methods of working with the land and using them to invite the power and energy of nature back into your life and surround your house and life in its life giving healing embrace. Everything becomes simple if you immerse yourself in nature. Life’s complications melt away, leaving only the truth of the present moment, and the presence of what I call God. In this place we can see our soul reflected in every living thing, every gust of wind and splash of rain, and here we can find peace. This is our true home. Yet we are losing what little wild places we have left in nature, those corners where the spirits of the earth are flowing freely, where harmony, and balance still exists and we feel accepted for the truth of who we are. We have gone off course and need to find our way again. An old pathway, overgrown and forgotten, is waiting impatiently to lead us back home. Nature is willing us on. A feature length movie based on Mary’s true life story will be released in 2016. This focuses on the story of Mary’s journey to build a gold medal winning garden at the Chelsea flower show.